it’s a full on experience! We offer a relaxed atmosphere that covers 20 acres on West Creek Road, Wonthaggi. 90 minutes from Melbourne and close to Phillip Island on the Bass Coast. Our team of referees take groups through many different scenarios, maybe a fort siege, or the bridge assault might be included in your day. 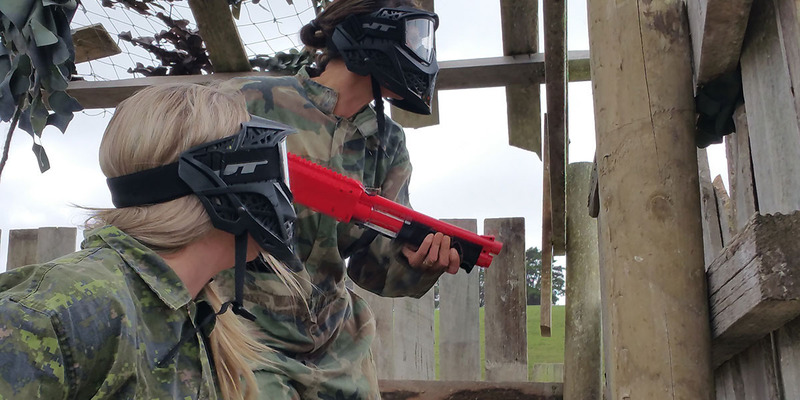 We offer regular Paintball (16 and over) using compressed air, which fires at 300ft per second and also Splatmaster (9 and over) which is a spring loaded marker, which fires at 100ft per second and is non bruising. 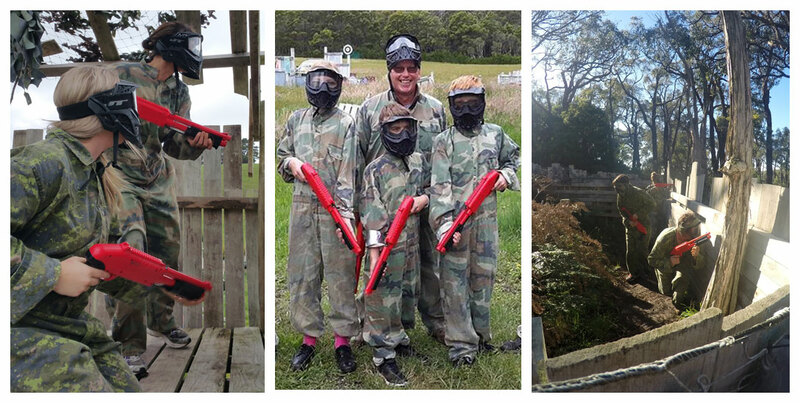 Splatmaster has proven to be great with families and mixed age groups. 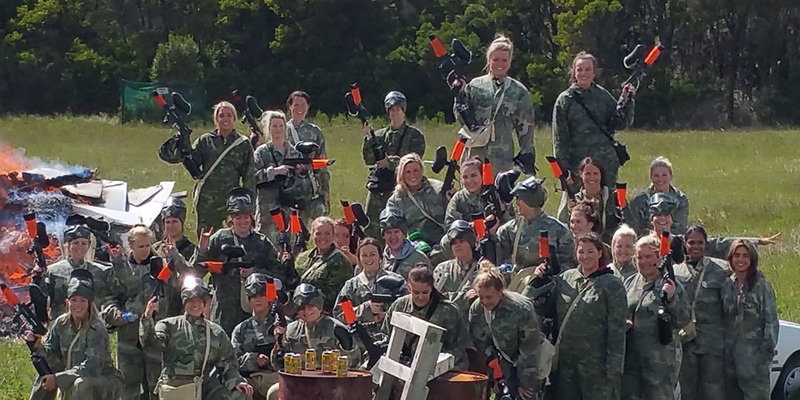 Axe Throwing at Bass Coast Paintball. 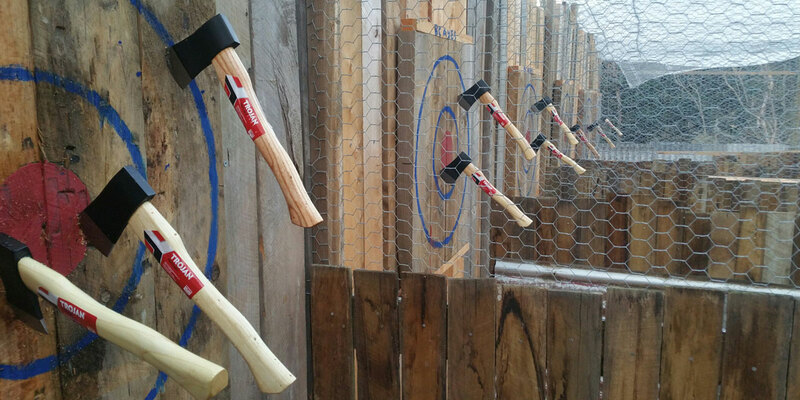 We are Victoria's first country Axe Throwing venue. We also have a BBQ available if groups want to bring their own meat. We’ve had people from 9 to 75. Come and have a game and a good laugh. We are close to Phillip Island, Inverloch, Leongatha, Grantville, Korumburra and Foster. Any excuse to have fun! So don’t hesitate and book now to secure a date. EFTPOS facilities available on site. Note: There must be one adult supervising for Splatmaster and Axe Throwing. 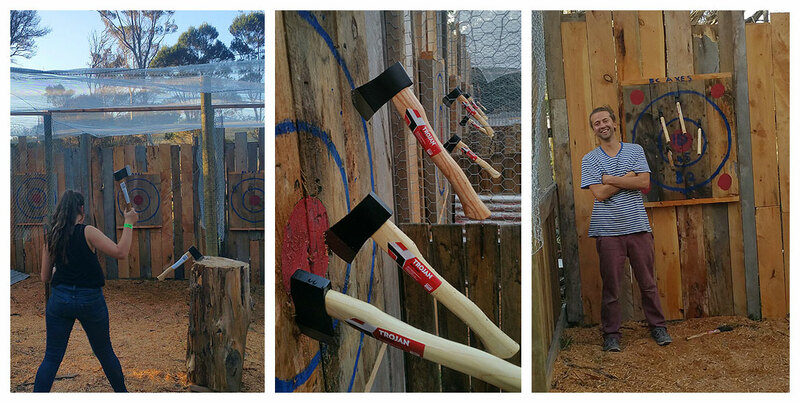 Victoria's first country Axe Throwing venue. For ages 12 years and up. Ideal for Bucks, Hens, Sporting and Family Groups. Only 90 minutes from Melbourne and close to Phillip Island on the Bass Coast. Experienced referees will show you how its done. 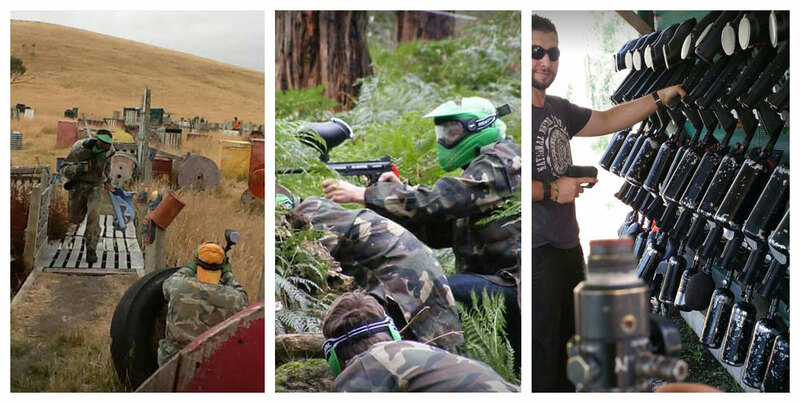 $45 per person for 1 hour. Minimum of 4 persons.